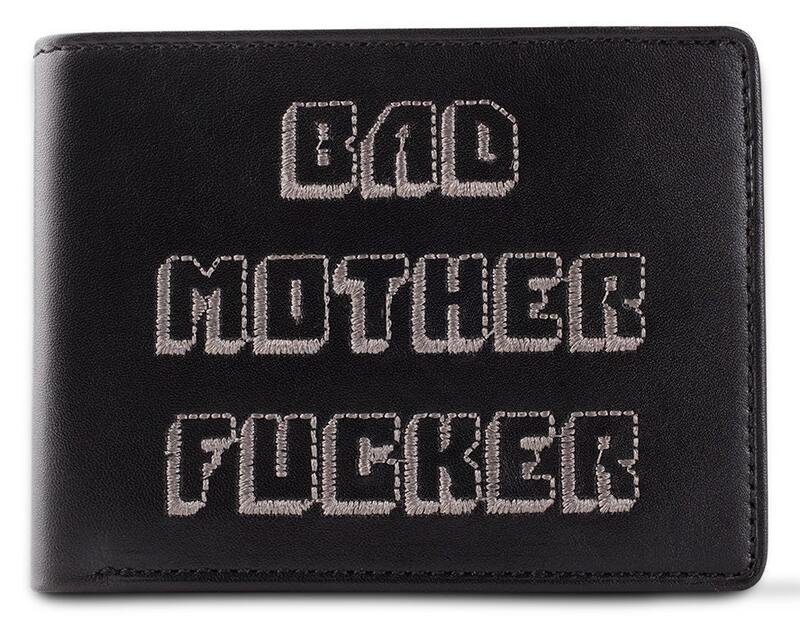 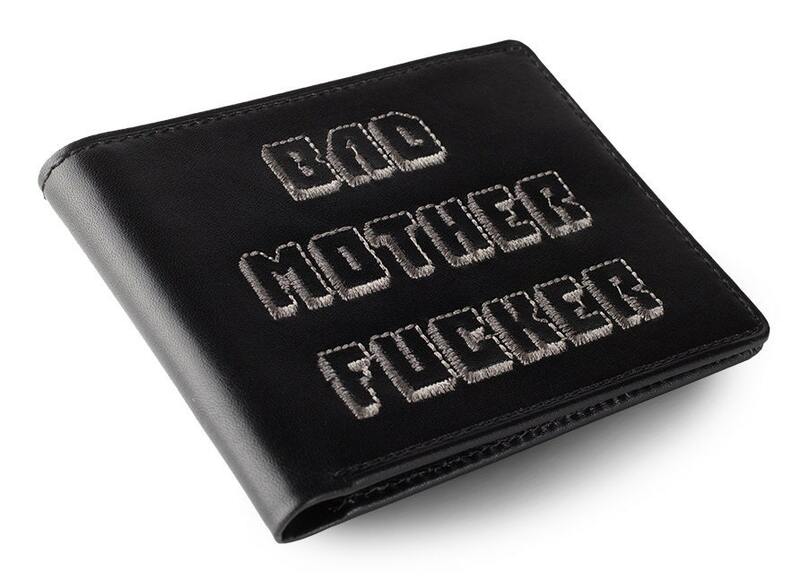 Bad Mother Fucker Black Embroidered Leather Wallet. 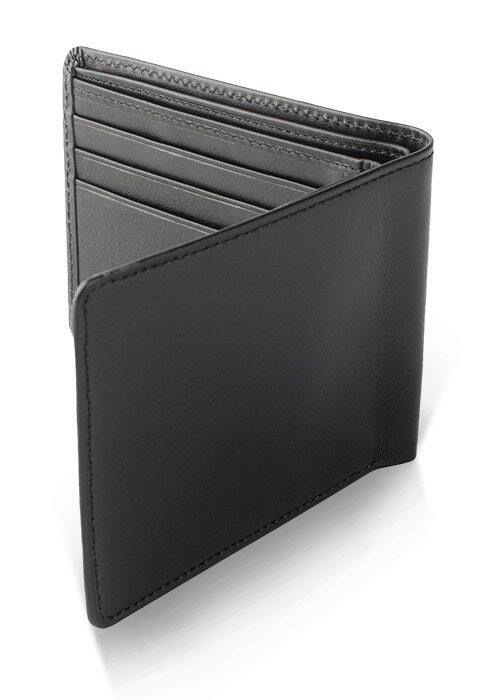 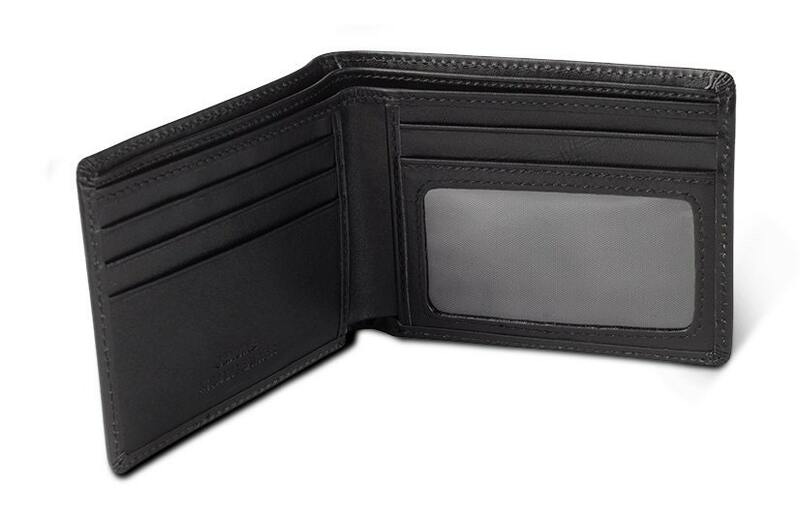 Bi-fold wallet with four slots for credit cards, one clear plastic slot for an id card, and two slots for cash. 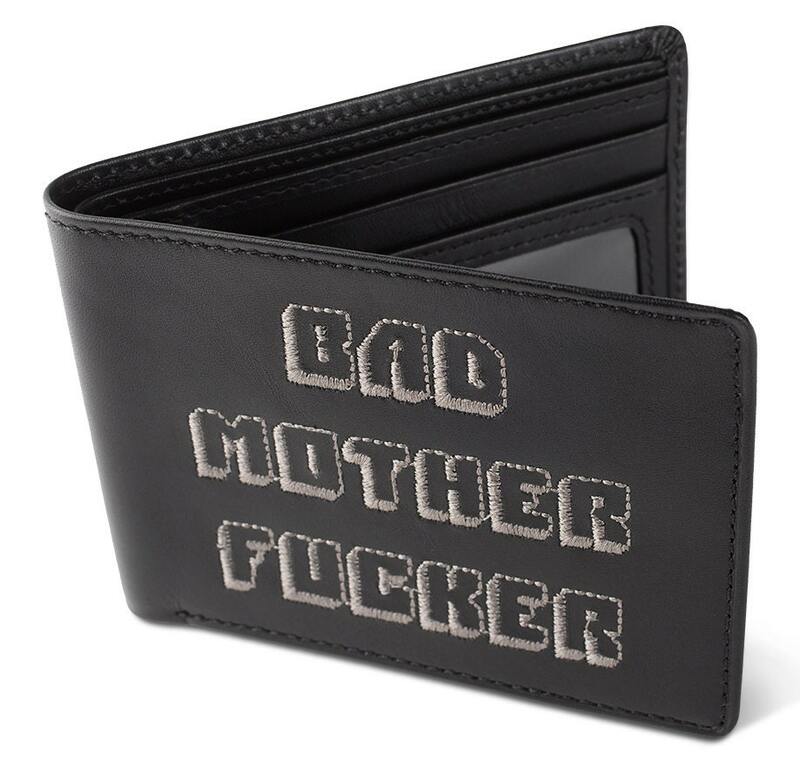 Wallet is 4.75 inches x 3.75 inches.